nother season and of course another battle between FIFA and Pro Evolution Soccer. And just like every year both sides have made changes to once again try and outdo one another. But this year it looks like FIFA may not have done enough to retain its crown. 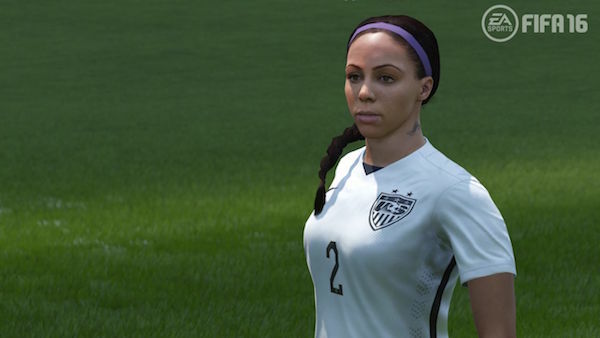 This year EA have made some great additions to FIFA such as adding women’s team for the first time in its history. There has also been additions to the mechanics such as no touch dribbling and more frequent interceptions, all of which make FIFA 16 feel very different to last year and this isn’t always a good thing. The popular Ultimate Team returns with a new draft mode that allows players to select their 23 man squad from a random selection of mostly top players. This allows you to create your ultimate fantasy team and compete in 4 matches to win a prize including coins, packs and more. The first time you play FIFA 16 you are given a free draft token, after that you have to pay 15,000 coins or 300 FIFA points. It’s a refreshing take on the already popular ultimate team and will most likely help FIFA to make even more money out of this mode. Ultimate Team feels like a money making scheme with people on YouTube spending over £100 opening gold packs and getting nothing. The ‘pack luck’ in FIFA 16 is a bit ridiculous and you could easily spend a large amount of money without getting much from it, which seems a bit unfair. The skill games and My Career mode also return, although I was very disappointed with the lack of update on My Career. There is more emphasis on training this year and again they have split the modes into manager and player. I do think this is a mode which has a lot of potential if EA gave it a bit more time, something like the NBA 2K My Career mode for FIFA is what fans are really hoping for in future FIFA releases. On the pitch the new defensive mechanics really make the game a lot more challenging. 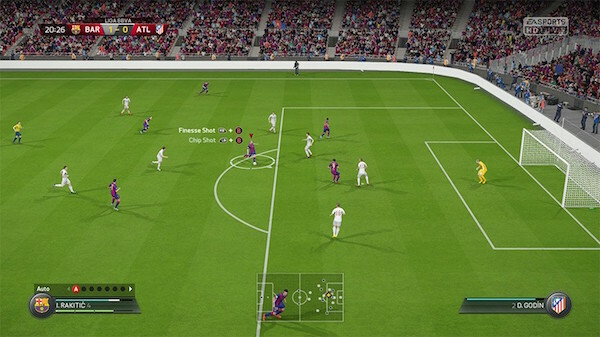 The AI will now track runs of other players off the ball, and FIFA 16 also includes interceptions so you’re no longer feeling frustrated as the ball runs past your player and he does nothing about it. Slide tackles have also been updated so a missed slide tackle doesn’t take you completely out of the game, if you press the slide tackle button again your player will jump up rather than continuing on sliding out of the park. I didn’t really find this useful at all, or helpful and playing online I couldn’t really see it being used by other players either. 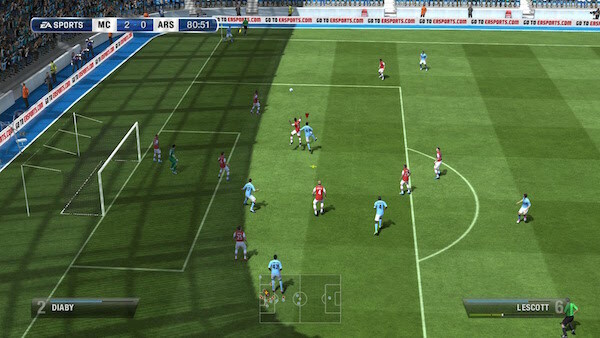 The main defensive change in FIFA 16 is forcing players to play through the midfield. In last year’s edition you would want to pass to a pacey winger that would be impossible to stop. It was all too easy to take apart a defence with just a fast winger, so this year EA have decided they want to make you play through midfield. It’s a bit of a steep learning curve when you’ve become so used to FIFA 15 and at first I did struggle playing online but once you figure it out it does make the game more realistic. Of course all those defensive changes come with flashy titles from EA such as defensive agility and interception intelligence. But the main issue with FIFA this year is the terrible collision system which causes no end of frustration. Especially when you brush past a player in the box and the referee decides to give a penalty. This happens far too often and annoyingly when it matters most! The main issue with the collision system is watching your keeper get tripped up by one of your own players or seeing your player push his teammate out of the way allowing the opposition through on goal. It surprises me EA could not put in more intelligence to stop players from colliding with each other off the ball. Shooting also feels different this year and again requires a lot of practise to get your finishing right. I’ve found shooting to be a bit tricky and nothing is more disheartening than watching the goalkeeper catch a powerful shot like it was nothing. New animations have been added to shooting such as your player looking at where he hits the ball (I mean that’s the most useless addition to FIFA yet). Shooting just seems to be a bit off than previous versions, it takes a bit of time to really get used to it. Passing is still the same as last year although long through balls now chip which is a little annoying and is very hard to control. Crossing has seen the triple tap low cross lose its effectiveness this year but it is still a useful tool to use for a winger. The women’s game addition to FIFA plays different to the men’s game, it is a bit slower and allows for a better passing game. You can’t pit a women’s team against a men’s team just like in the real world. It may seem as though EA are trying to cash in on the success of the women’s world cup, but this feels like a bit more than that. The game mode has been given a lot time and effort. The fact it feels different to the men’s game it does make me think that this was not just included for the positive headlines. It will be interesting to see what improvements EA will add to the women’s game in future editions of FIFA. FIFA 16 feels as though it concentrates more on defence this year and while this was required after constant frustrations with FIFA 15 and watching your players make little to no effort to stop the opposition, I can’t help but feel it has made the game boring. FIFA 16 wants you to play beautiful yet this year everything EA have included makes playing beautiful a challenge. Considering the strong challenge Konami are starting to put together it seems as though FIFA might just have fallen short this year.